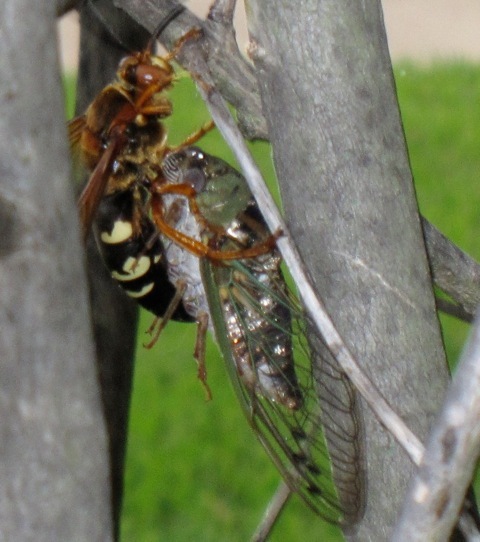 Cicada eggs remain in the twigs for 6 to 10 weeks before hatching. After the eggs hatch, the tiny ant-like first stage nymphs drop to the soil to borrow in 6 to 18 inches underground to feed for the next 2 or more years. 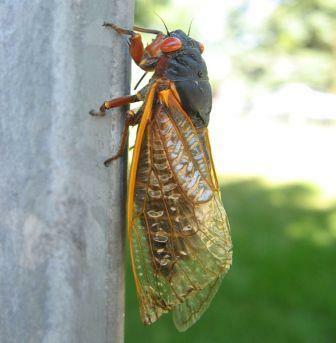 Cicadas can develop for a thirteen to seventeen years cycle. Nymphs feed on the roots of many kinds of trees. Any treed area, conifers and mixed woods. Also in shrubs.